These days, it seems like everyone is always busy, and the concept of sitting down together for a meal as a family is one a lot of parents just don't seem to care about. Sure, you might have a lot of reasons why this cannot be a priority in your home. But if you consider how incredible of an effect it has on kids, you would probably want to make time for it. So, let's remind you of why sitting down for at least one meal a day with your family is very crucial for the children. With kids easily drowning in the appeal of social media these days, it is now more important than ever to set aside a time where they take a break from it all. During a family meal, no gadgets are allowed. It is time to have conversations with each other. You could bring up current events that are appropriate for your kids' age, you could ask them how their day went, or share interesting parts of your day. This is an opportunity to give your children a voice in the family. It also helps to expand their vocabulary and build their speaking/listening skills. There is a sense of security and unity that comes with eating together. 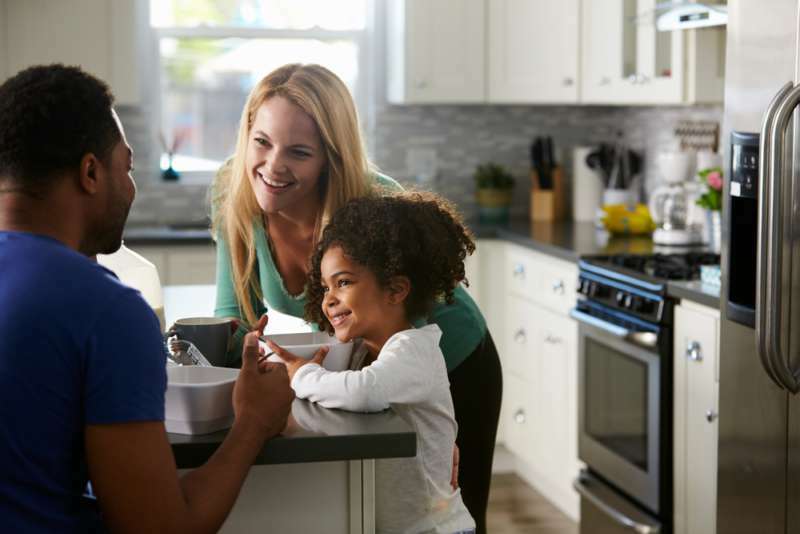 In fact, studies have shown that children are more likely to abide the rules and expectations set by their parents if they spend more time with one another. It also helps to improve kids' self-esteem and give them a sense of identity. Seeing who you are and what you value as a parent will encourage your kids to reflect on who they are and even help them understand you better. 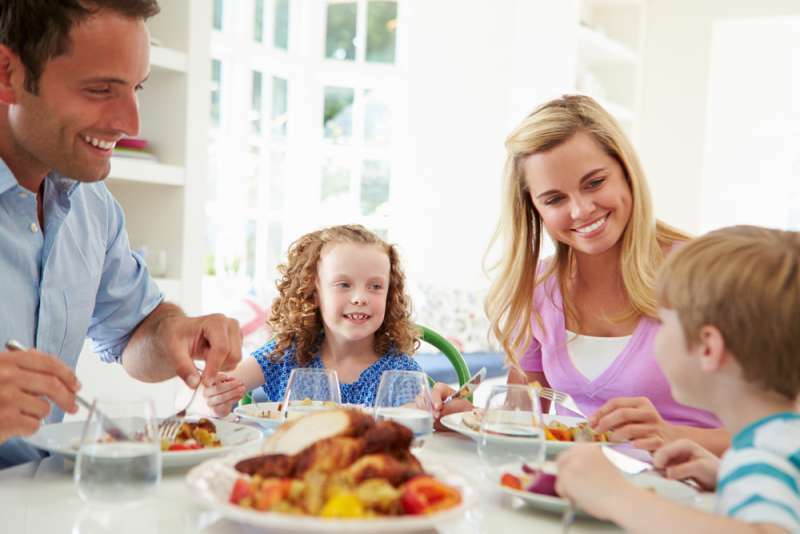 If you really want to teach your kids nutritional values, family meals are a way to go. They get to watch you eat the right things and also make the right choices for themselves. Wherever possible, you can even encourage them to join you right from the point the meal is being prepared. Families that eat together are less likely to eat junk food, as parents are more motivated to make healthier choices because of their kids. 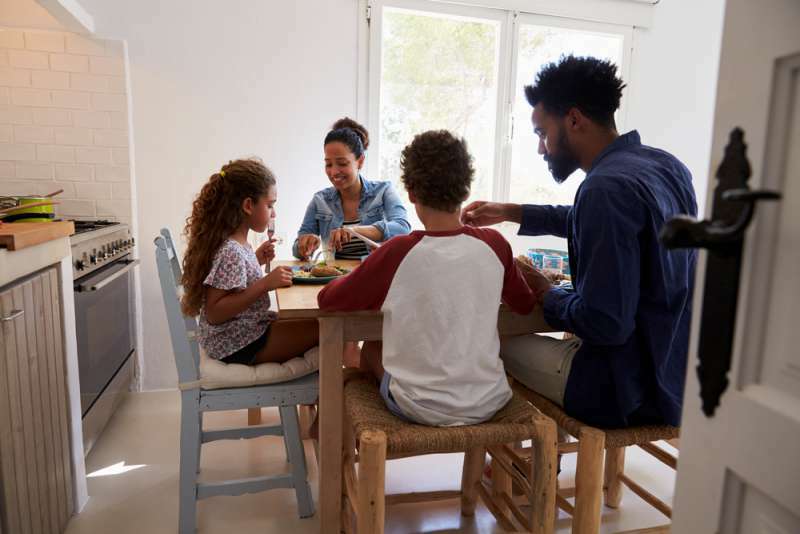 Perhaps, enjoying family dinner every single evening is not feasible in your home but put in the effort, so that you can get this family time at least four to five times a week. The benefits truly are worth it in the long run.